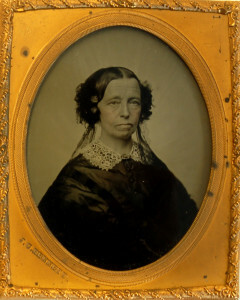 Betsy (Kershaw) Abbot (1811 – 1899) was born in England. She married Andover grocer J. Thompson Abbott in Andover in 1832. The couple lived on Essex Street and were the parents of daughter Mary, born about 1835. Mrs. Abbott died in 1899 at the age of eighty-eight and is buried with her husband in the South Church Cemetery.